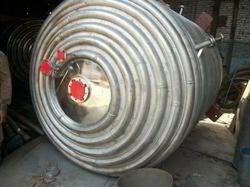 Our range of products include limpet coil vessel, chemical reaction vessels and reactor vessel. We cater a large gamut of highly efficient Chemical Reaction Vessels, which is available in both Flanged Type and Mono Block Body and also be limpet and jacketed with both cooling and heating arrangements, with internal coils. We are counted among the prominent fabricated Chemical Reaction Vessels manufacturers in India. Our Flanged Chemical Reaction Vessels are fabricated from the premium quality raw materials, under the guidance of experts. 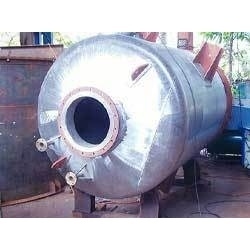 They are manufactured as per various standards like DIN, ASME etc. in MS, SS 304, SS 304L, SS 310, SS 316 SS 316L, SS 317 and CS. 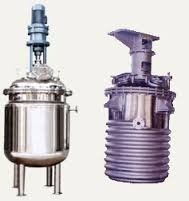 We offer Chemical Reaction Vessels with sealing arrangements like stuffing box without or with cooling arrangements, with Magnetic Drives and Mechanical Seals. They are also available with proper agitation as per the demand of the client. Looking for Chemical Reaction Vessels ?